Every year, Food+Tech Connect looks at the trends that are revolutionizing the way food is produced, sold and consumed. 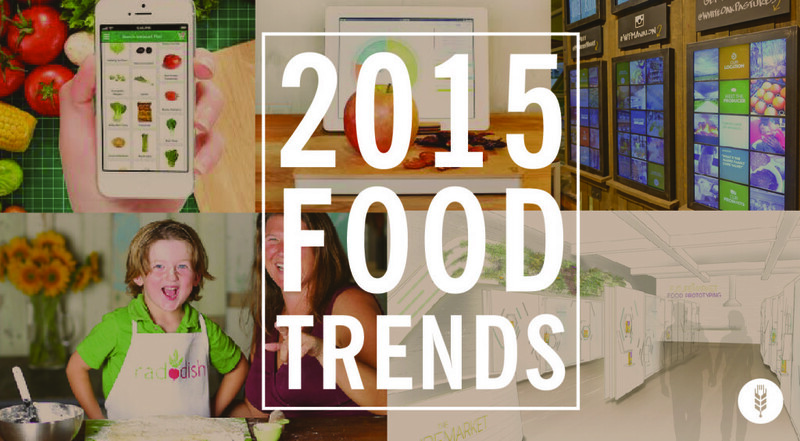 Today we look at Phil Lempert’s 2015 food retail predictions and explore how they relate to the food tech space. Many of his insights align closely with the trends we regularly explore at FTC, including the rise of online food delivery, increased nutritional information transparency and the evolution of the grocery store. You can read Lempert’s complete list of trend predictions here. This was a huge year for online grocery delivery, and it’s only going to get bigger in 2015. Major players like Google, Amazon and Walmart all expanded their same-day delivery services to new cities. 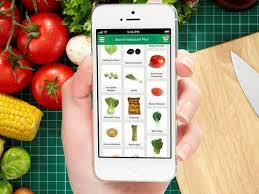 Instacart got everyone’s attention with its meteoric growth. Investor confidence is clearly up, as tons of investment poured into food e-commerce startups, allowing them to expand to new cities and grow market share. And a number of unlikely tech companies got into grocery delivery. The following is a run down of the major news from 2014. Google expanded its Express delivery service, which offers same day delivery from stores like Costco, Whole Foods and Target, to Boston, Chicago and Washington, DC. In October it transitioned to a subscription model where users either pay $10/month or $95/year for the service. Amazon expanded Amazon Fresh, its same-day grocery delivery service, to New York. 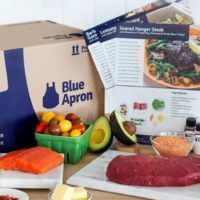 It also launched partnerships with the USPS to deliver groceries in San Francisco and AgLocal to offer on-demand sustainable meat in San Francisco. Walmart To Go, the retailer’s on-demand delivery service, is testing out a variety of different same-day grocery services to meet the needs of it’s customers. Last October, it added Denver to its list of cities – San Jose and San Francisco – offering same day delivery. This year, the retailer began offering store pick-up in Denver. It also launched Walmart Pickup-Grocery in Arkansas, which is a 15,000-square-food fulfillment center, rather than a full-blown store. Personal grocery shopping service Instacart, which grew by 15-20 percent week over week this year, was the talk of the town. Unlike its competitors, which have high overhead costs, the 2-year old startup dodged costly infrastructure investments by partnering with major retailers, including Whole Foods, Kroger and Costco. And just last week, it announced a massive $100 million Series C with a $2B valuation. As of June 2014, the startup was active in 10 major cities, and it plans to keep expanding aggressively. Postmates, another buzz-generating delivery startup, has has grown 10x year over year since its launch in 2012. The online delivery service and developer of delivery logistics software partners with retailers to deliver goods on-demand in Seattle, Chicago, San Francisco, Los Angeles, New York City and Washington D.C. The startup raised $16 million in February to expand across North America. And earlier this month, it hit 1 million deliveries and announced an API that will allow retailers to leverage its delivery technology. At this point, it looks like everyone is trying to get a piece of the grocery delivery pie. Uber is piloting UberEssentials, which offers 10-minute grocery delivery, Overstock (shocking, we know) launched a locally-focused Farmers Market, the D.C. transit agency is looking to pilot a partnership with Giant Food’s PeaPod to set up grocery distribution areas in metro stations, and the list goes on. Additionally, products like recipe apps are catering more and more to online shoppers, as Lempert points out. 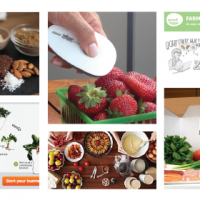 Look & Cook plans to connect with Amazon Fresh, so customers can tap a button and have all of the ingredients for their home-cooked meal delivered, for example. This is an uplifting trend for the future of public health. Thanks to the proliferation of technology and social media, today’s Gen Z kids are more up-to-date on healthy food trends and are more inclined towards culinary experimentation than ever before. 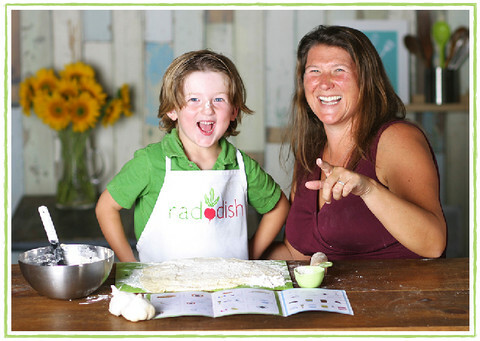 Raddish offers kid-focused recipe subscription boxes, which include grocery lists, illustrated recipe guides and various activities designed to make the cooking process fun and educational for for both kids and parents. JoyFoodly aims to make learning how to cook vegetables and fruits fun, affordable and accessible for families. Its Online Kitchen Learning Lab offers a self-paced cooking crash course for families with video tutorials, a time-saving shopping list generator and a community forum. NY Sun Works builds innovative science labs in urban schools. Its Greenhouse Project Initiative uses hydroponic farming technology to educate students and teachers about the science of sustainability. It’s trying to build 100 greenhouse project labs by 2020. Zisbamboom is a platform dedicated to empowering families with fun online tools that promote healthy eating in kids. It’s free game Pick Chow! empowers kids to create their own meals and learn about the nutritional value of their choices. We’ve been tracking how technology facilitates transparency for shoppers for a long time, and the startups in this space are getting more and more sophisticated. There are a bevy of apps like Fooducate, ScanAvert, ShopWell that help demystify food labels and enable people to make healthier food choices and apps like Ingredient1 and ipiit also focus on helping shoppers with food allergies. And on the connected kitchen side, smart scales like Prep Pad and SITU are linking nutritional data to cooking, and serving it up in real-time. Kickstarter-backed gadgets like Vessyl’s smart cup and PantryChic’s smart ingredient dispenser, for example, are helping consumers calculate the nutritional content of what they drink, eat and cook around the clock. And it’s not just hardware startups are innovating in this arena; Whirlpool, Samsung and LG took this year’s CES show by storm with smart refrigerators, futuristic cook tops, smart crock pots and more. Hand-held food sensors can go beyond food labels and databases. Claiming to be a godsend for the 15 million americas with food allergies, TellSpec uses a laser and a micro-spectrometer to analyze any food’s calories, nutrients and allergens. And 6SensorLabs, which recently raised $4 million, is developing what it claims to be the first portable and accurate gluten sensor. What’s not certain yet is if these early sensors are accurate enough to be trustworthy for people with life-threatening allergies. Bon Appetit Management Company’s Bonnie Powell dives into that here. FoodEssentials, which recently raised $1.5M, gives food retailers a real-time look at the nutritional content of every product on their shelves. It helps retailers better understand customer habits and make data-driven inventory decisions. 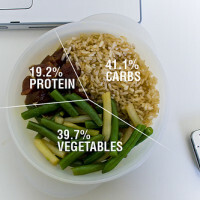 Edamam makes nutrition data from online recipes accessible for home-cooks. 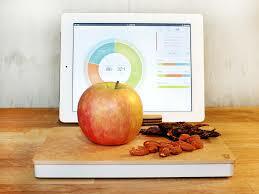 It generates real time nutrition analysis of 1.5 million recipes and ingredient lists from 500 popular recipe sites. Klappo leverages big data and semantics to extract granular food nutrition data. It enables developers to harness that data to build apps that help customers make educated and engaged choices about what they buy and eat. Recipal is making it easier and more affordable than ever before for food entrepreneurs to create ready-for-sale nutrition labels and get their products on shelves. We couldn’t agree more with this trend. As the online grocery delivery space explodes, brick and mortar grocers are searching for ways to keep customers coming back. 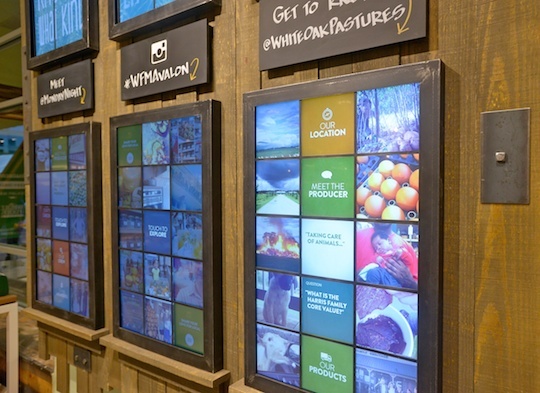 Whole Foods launched a new “Store of the Future” in October, and it’s chock-full of immersive digital experiences that show shoppers where their food comes from. It has gigantic digital screens that displaying an Instagram feed of locally grown produce and farmers and a digital mirror that lets shoppers strike poses and recommends health products. Our parnters at Studio Industries also have a revolutionary new grocery project in the works for 2015. The Future Market‘s pop-up exhibit will feature food products from the year 2065. Its first product Crop Crisps is basically the Wheat Thins of the future. After over a century of industrial, mono-culture farming, the soil and environment of 2065 can no longer support these practices. So Crop Crisps uses ingredients like lentils, garbanzo beans and red winter wheat, instead of today’s mainstay wheat, corn and soy, and relies on seasonal crop rotation to promote long term sustainability. Our online conversation Hacking Dining, which explored how we we might use technology and design to re-engineer a better future of dining, included many grocery-focused submissions. Arlin Wasserman explains how technology holds the key to truly personalizing the dining experience (in grocery stores, too). Farmigo founder Benzi Ronen makes a case for why we should do away with the supermarket all together. You can browse through all 50+ submissions here. FTC is all about helping food entrepreneurs succeed, and we’re not alone. 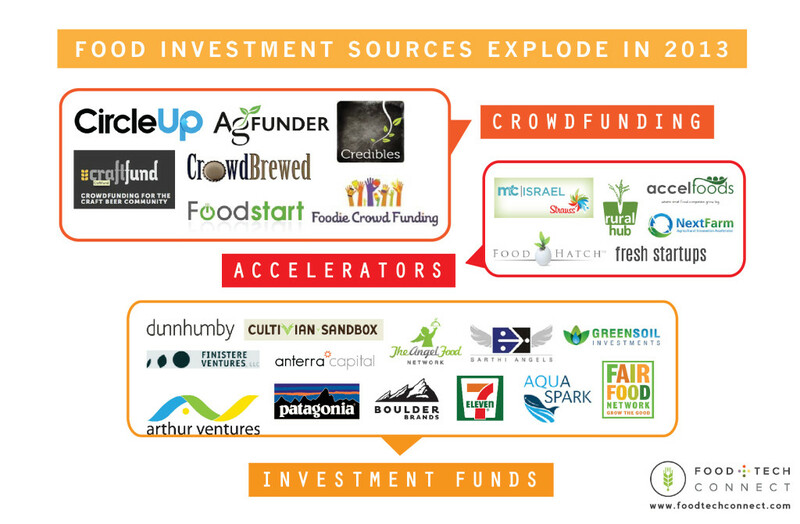 In 2013, a whopping 26 new food and agriculture-focused funds, accelerators and funding platforms launched to help food entrepreneurs grow their businesses. This trend continued to grow in 2014 with the launch of new accelerators like the Good Food Business Accelerator and Food-X, as well as CIA’s announcement about the 2015 launch of The Food Business School. 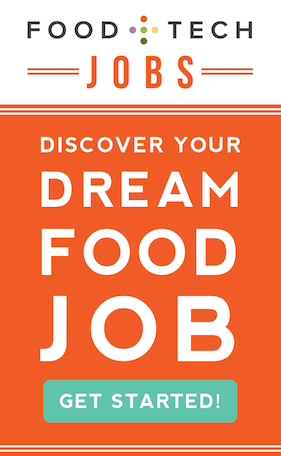 Our major news of 2014 is that we launched Food+Tech Ed, a platform that empowers you to cultivate the 21st century business skills you need to create a better food future. We’re working with the best and brightest entrepreneurs, investors, logistics pros, marketers and more to create the Future Food MBA and make it accessible to all. Join our community of entrepreneurs today. Find value in this article? Help us continue to bring you the news, insights and community you depend on by making a small contribution. Learn more HERE.